Azizah, one of our customers, sent us these two pictures of her Waterman 42 Safety filler. She picked this 1930 vintage eyedropper in red ripple hard rubber out from our Catalog #74. Azizah loves music nibs and she told us she just couldn’t miss this opportunity. 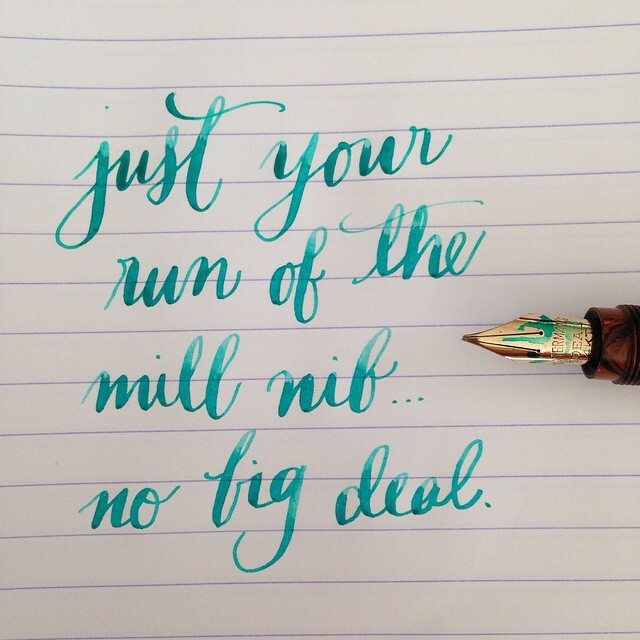 She shared these two pictures with us; one of the pen itself, the other a writing sample – the nib is no big deal, she joked. Watch for a post on the Safety filler coming soon! 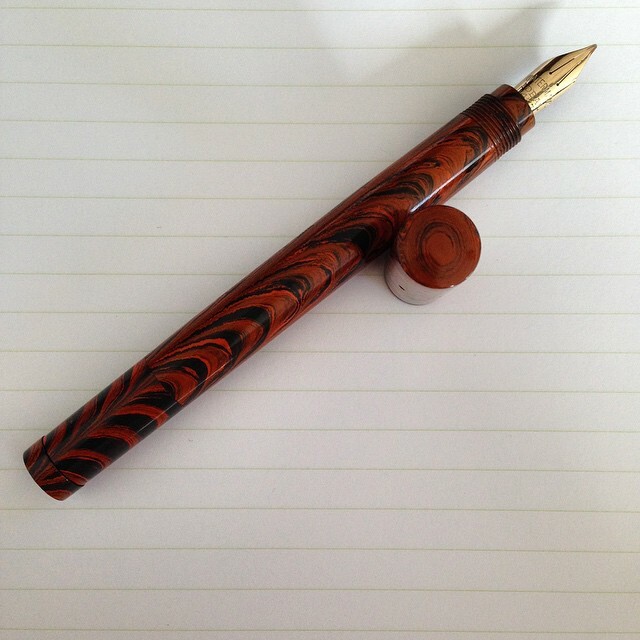 This entry was posted in Vintage Pens and tagged Catalog, Flex Nib, Fountain Pens, Go Pens, GoPens, Handwriting, Vintage Fountain Pen, Vintage Fountain Pens, Vintage Pen, Vintage Pens, Waterman. Bookmark the permalink. Follow any comments here with the RSS feed for this post. Post a comment or leave a trackback: Trackback URL.